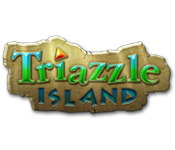 Triazzle Island is rated 3.4 out of 5 by 7. Rated 5 out of 5 by Lindybudd from Very Challenging, But Rewarding! This game is a pleasant change from the everyday type of game. It really makes you think. At first, I thought there was a problem with the game because I couldn't figure out a couple of the bonus games. Later in the game, a clue came on how to solve those earlier puzzles. It would have been nice to have the clue appear before I got frustrated and almost decided to uninstall. Finished the game with mostly silver rating because I was way too slow. Going back now and working on my speed to hopefully get a gold rating. This game can be played over and over again, so is a good purchase for those needing a puzzle to keep the old brain working. Rated 5 out of 5 by Misses_Missy from Great Modern Classic Triazzle puzzles have been around for decades, and I played with them fondly in school as a kid. Now I can play the same fun puzzle with my own kids from my computer! The graphics are stunning, the music is fresh and enjoyable, and the challenge on the next level is always a little harder. You can take as long as you want to complete a level, but if you are competitive then you'll try to solve it for the gold medal. I am just excited I finally found a game my whole family can enjoy playing. 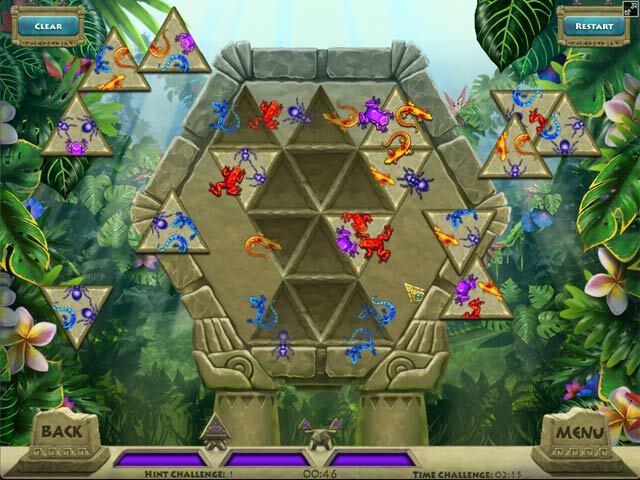 Rated 4 out of 5 by sereneorchid from Thank goodness for hints A beautiful game, with lush, tropical graphics. 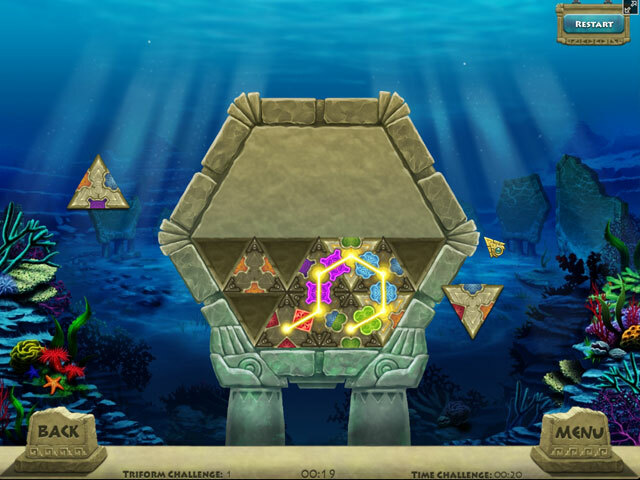 Your task, as an explorer, is to piece together triangular stones to fit onto ancient monuments. 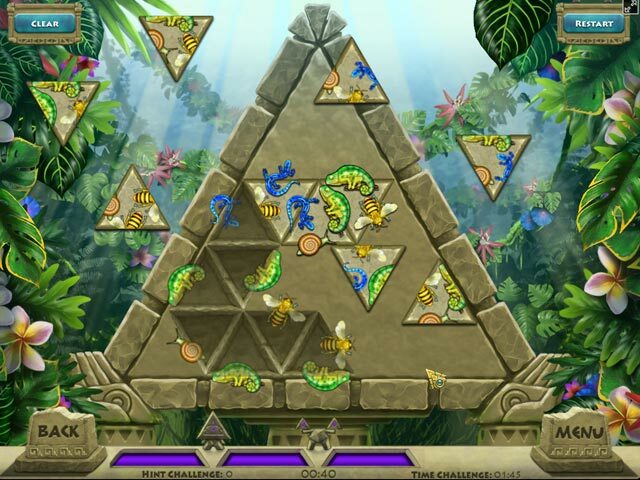 Each triangular side has a part of an animal drawn on it, and when you match up the animals correctly, they morph from 2D to 3D and become animated. Very cool! But the challenge is putting the puzzle pieces together correctly. The first couple puzzles seemed fairly easy, but with later puzzles, the additional pieces meant a greater number of combinations...and the puzzle pieces can be rotated, adding even more combinations. So I found it easier to start off with a hint and put at least one piece where it belonged, and work from there. I think this is a game that will "click" with you, or it won't. At first, I didn't think I would get it, but I found myself enjoying it, like doing an animated jigsaw puzzle. Make use of the hints early on, and it's easier to get the hang of it early on! Also give this a try if you enjoy deciphering codes or working with jigsaw puzzles. Rated 3 out of 5 by ybnrmal from It's okay I just wanted to write this review because you don't have to start at the beginning every time you start. It's saves your progress. It's a pretty okay puzzle game if you like that sort of game.